Beauden Barrett is barely touching his potential, according to Steve Hansen in a warning that should send ripples of dismay through New Zealand's test rugby rivals. 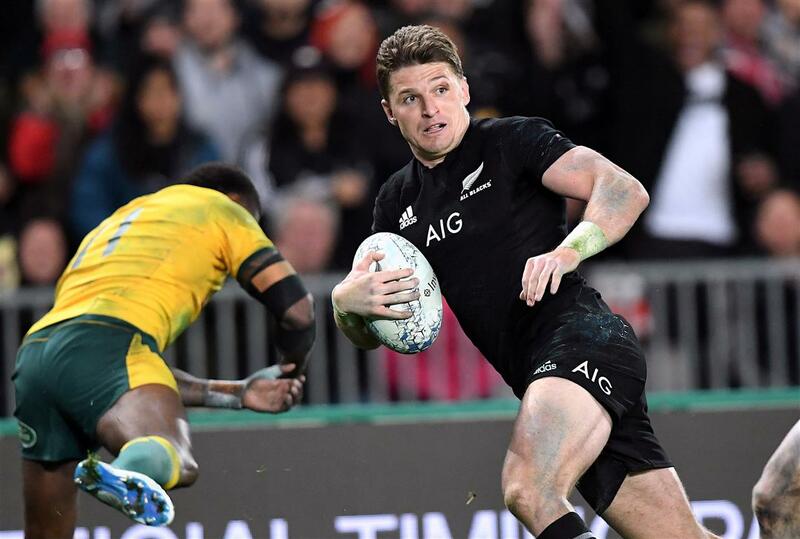 Barrett shredded the record books and shattered Australian hearts with a commanding performance in the second Bledisloe Cup test in Auckland. His 30 points was the most in a trans-Tasman test, while his four tries matched the record held by Wallaby Greg Cornelson. Slicing through Australia's defence with regularity, Barrett also became the only five-eighth in all of test history to reach that try tally in a game. His overall performance, which included some adept tactical kicking and sound defence, has been compared with predecessor Dan Carter's 2005 masterclass in the second test against the British and Irish Lions in Wellington. That match is considered Carter's finest work, although Hansen was reluctant to compare. "Both are quality players in a position where you have a massive influence on the game," he said. "Beauden's not the finished article, yet. I think he's still got a long way to go to be the player he's capable of being and that's the exciting thing. "He's already showing us just how good he is but he can be even better yet." Remarkably, it was only two weeks ago that Kiwi critics were calling for the Barrett to make way for rising No.10 Richie Mo'unga, who steered the Crusaders to a Super Rugby title defence in imperious fashion. Barrett's form with the Hurricanes had been patchy but Hansen knew that wouldn't last. "I understand everyone getting excited about Richie Mo'unga, because we're excited about him. But you can't buy experience and you can't buy moments in the middle." Hansen will nevertheless consider handing Mo'unga a first start when the All Blacks face Argentina in Nelson in two weeks. Flanker Sam Cane, who was replaced in Auckland, and inside centre Ryan Crotty are both expected to be available after progressing in their recovery from concussion. Sonny Bill Williams (shoulder) is less likely to be ready.